New zipper fin heat sinks from Advanced Thermal Solutions, Inc. (ATS) are protecting thousands of components from the dangers of excess heat at a lower cost than other high fin density heat sink types. Zipper fins are machined from thin sheet metal, typically aluminum or copper, and are formed into custom shapes. The sheets are designed to interlock with a very narrow space between their layers. The fin assembly is wave soldered to a metal base forming a very rigid, lightweight heat sink. 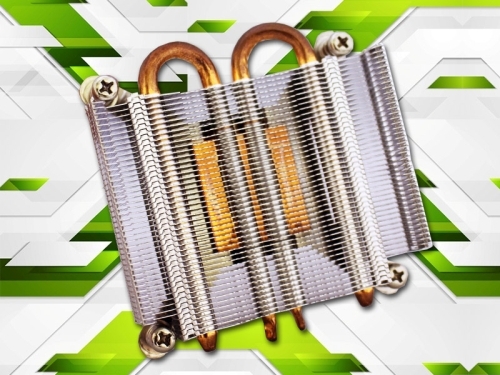 Zipper fin heat sinks allow the combined use of copper and aluminum materials. In these designs, the copper base allows for optimal heat spreading while the aluminum fins ensure the heat sink will be lightweight. It’s common knowledge that slapping a better heat sink, water cooler, or phase-change unit on a CPU can yield better overclocking results, but there’s more to the CPU cooling issue than simply bolting on a better heat sink. One of the biggest barriers to higher CPU clock speeds is hot spots. There are a few proposed methods. One alternative is to boost the efficiency of the thermal interface material (TIM). Intel has caught flack in recent years for using thermal paste, not solder, for its microprocessors. Another option is to improve lateral heat transfer within the CPU itself. Other approaches, like computational sprinting, could be combined with new phase change materials like wax to dramatically increase thermal dissipation for short periods of time. Another solution to the heat issue is to adopt new materials. Certain element combinations from Groups III and V of the Periodic Table are well suited to high-frequency, low-voltage operation. There’s a third idea out there that’s attracted significant interest in recent years. Why not leverage the advantages Moore’s law still offers to build fundamentally different kinds of chips?